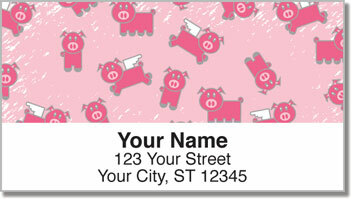 Cute cartoon pigs on these return address labels will make everyone who receives a letter from you grin from ear to ear! The darling illustrations include a flock of flying pigs - a fun reminder that anything is possible! 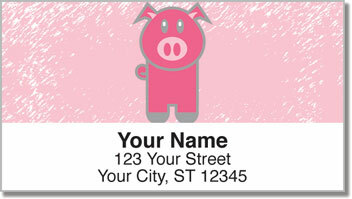 Pink Pig Address Labels from Check Advantage make preparing your personal mail easy and enjoyable. The convenient self-adhesive backing saves you time while avoiding the mess of licking and sticking traditional labels. Send a smile and show your fun-loving personality with the little piggies on this original style! 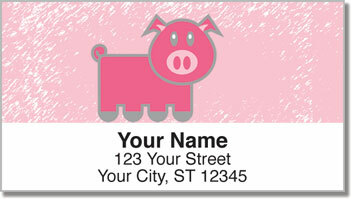 Get your own Pink Pig Address Labels right now! 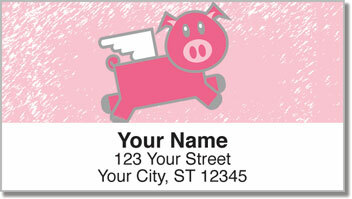 You can complete your order by choosing matching personal checks!